The first human lung transplant was performed at the University of Mississippi by James Hardy in 1963; the patient survived for 18 days. Twenty years later, the Toronto Lung Transplant Group led by Joel Cooper reported the first long-term survival. Since then, advances in immunosuppression regimens, surgical technique, and postoperative care of lung transplant recipients have allowed remarkable improvement in results and allowed a much larger number of patients with endstage lung disease to benefit from this procedure. 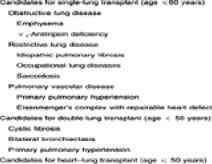 Present indications for lung transplantation are outlined in Table !.. 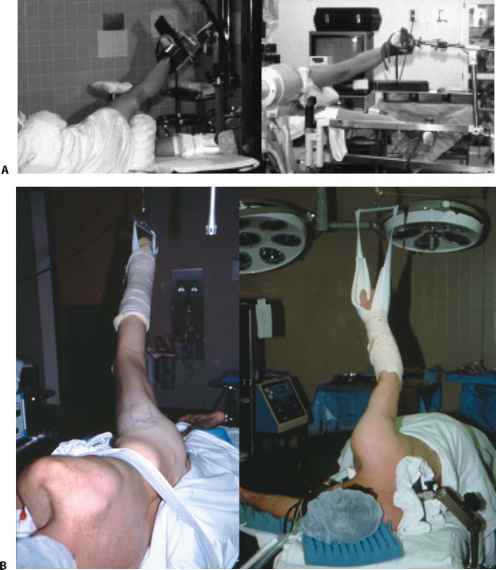 The main goals of postoperative care of lung transplant recipients are maintenance of hemodynamic stability, meeting the challenges of early ventilatory management, establishment of immunosuppression, and prevention of infections.